Product prices and availability are accurate as of 2019-04-19 05:44:54 UTC and are subject to change. Any price and availability information displayed on http://www.amazon.com/ at the time of purchase will apply to the purchase of this product. Author Bookstand is proud to offer Hell's Toilet by Bookstand Publishing. Bookstand Publishing offers books by the best indie authors throughout North America and the world. Bookstand Publishing is dedicated to offering original content to a broad audience and promoting great authors, literacy, and freedom of expression. Hell's Toilet has generated a lot of interest and excitement and we think it would be an excellent addition to your library. 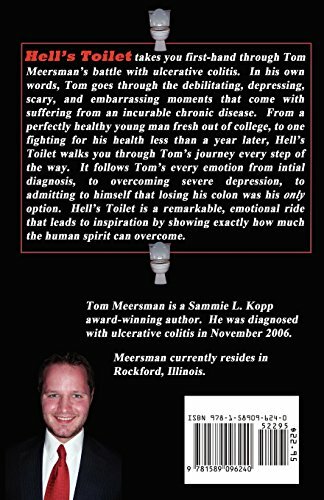 Hell's Toilet take you first-hand through Tom Meersman's battle with ulcerative colitis. In his own words, Tom goes through the debilitating, depressing, scary, and embarrassing moments that come with suffering from an incurable chronic disease. 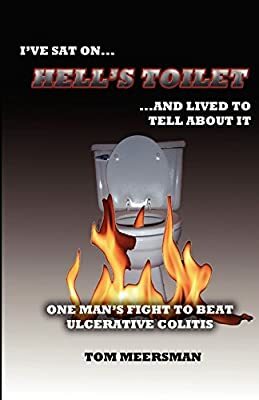 From a perfectly healthy young man fresh out of college, to one fighting for his health less than a year later, Hell's Toilet walks you through Tom's journey every step of the way. It follows Tom's every emotion from initial diagnosis, to overcoming severe depression, to admitting to himself that losing his colon was his only option. Hell's Toilet is a remarkable, emotional ride that leads to inspiration by showing exactly how much the human spirit can overcome.